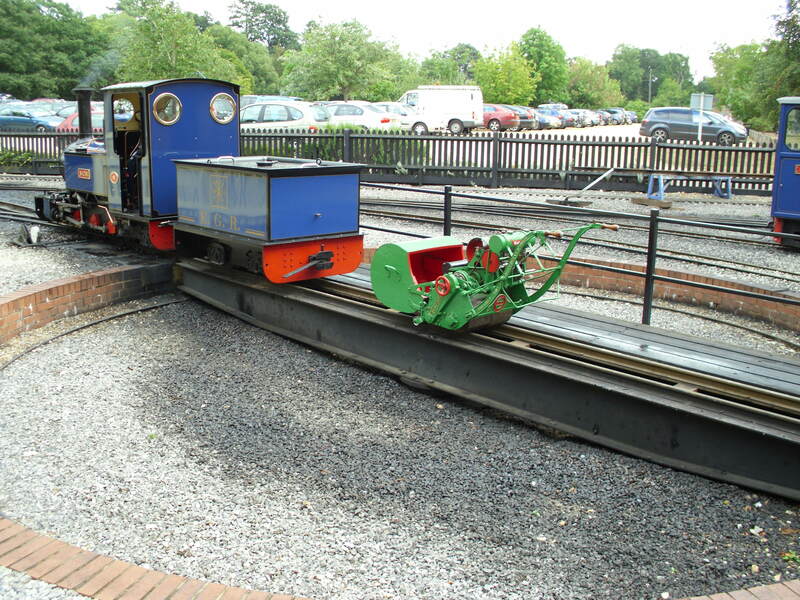 On the turntable at the narrow gauge railway at Exbury Gardens, near Southampton, Hants. A small group of Old Lawnmower Club members put on a display there in August 2010. The House and Gardens are owned by part of the Rothschild family; H.M. The Queen has been known to drive one of the locomotives.